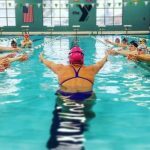 This is a four session swim camp to be held over two days. Two sessions are for swimmers 11 and under. Two other sessions are for swimmers 12 and over. Sign up for one of BOTH sessions for your swimmer’s age group. 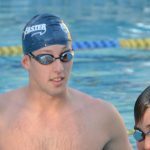 On Saturday, Olympic gold medalist Tyler Clary and National Champion Felicia Lee will be teaching technique for a faster freestyle and backstroke. Then they will teach breaststroke, butterfly, and maximizing opportunity on Sunday! Scroll down for more details on the curriculum! SAVE! Take advantage of early bird pricing – Sign up before prices rise! Freestyle and backstroke have a lot in common including the body position, rotation, and an early press back into the water! Working on both strokes together deepens a swimmer's understanding of the importance of these aspects. Your swimmer will learn drills and skills to race faster in both free and back as well as how to accelerate through every flip turn with Olympic gold medalist Tyler Clary! FREESTYLE: Participants will learn how to hold a straight and solid body line so that they can cut through the water with less drag. Practice keeping a still and low head position (especially during the breath!) while driving a strong flutter kick. Tyler will also teach participants how to get an early and powerful press backwards on the water in the arm pull to get more out of every stroke. From the 50 to the mile, your swimmer will learn skills that will allow them to drop time in every freestyle race. BACKSTROKE: Engaging your core not only allows you to swim stronger, but it also allows you to hold the proper body position. Olympic gold medalist Tyler Clary will help swimmers learn the importance of rotation and how to use it to their advantage for more power in each stroke. The arm pull in backstroke should press the water all the way through using the whole arm to achieve maximum propulsion. Backstrokers are often the fastest kickers on their teams, find out why and learn to have a stronger kick! Butterfly: Swimming a relaxed and fast butterfly is all in the technique and timing! Tyler Clary will go over the proper body position, kick, arm pull, and breath as well as the timing of how it all fits together! You won't believe how fast and smooth your swimmer's fly will look after practicing new drills and learning new skills to improve their butterfly technique! Being a Champion: Tyler was one of the top 400 IMers in the world in 2012. His time at Olympic trials would have placed him 5th at the Olympics, but he didn't even make the team in that event! HOWEVER, he did go on to win gold in the 200 backstroke - BEATING Ryan Lochte who was the favorite and defending champion. Maximizing opportunity in the sport of swimming is so important to reaching the highest level possible. Learn about how to be strategic with training and racing! Take a photo while wearing Tyler Clary's medals, get autographs, and a gift from TYR Sport!